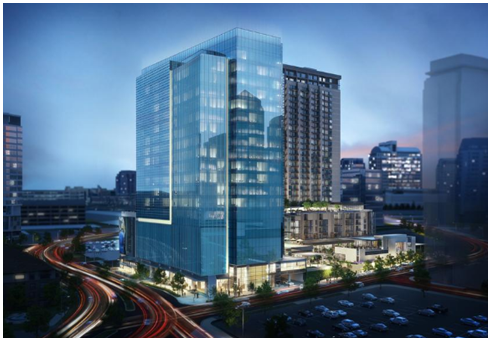 ​​DALLAS – International law firm Akin Gump has confirmed its corporate office move to three floors within The Union Dallas, a mixed-use development under construction near Uptown Dallas. In all, the law firm will lease about 68,000 sf of office space. Construction is underway on the $300 million, 800,000-sf mixed-use development near Uptown. ​Wan​t more data? See Dallas Office Market Research.